Camomile London believes in simple, functional, and beautiful spaces. Creating a calm and inviting environment for rest, play and modern living, with uncompromised quality and detail. A seamless thread of style runs effortlessly throughout the whole home, from a childs playful room, to a grown ups sanctuary. The heart of the collection lies within the colours, mixing the unsuspected with the subtle. Playing prints and checks against each other to create a harmonious rhythm of pattern. 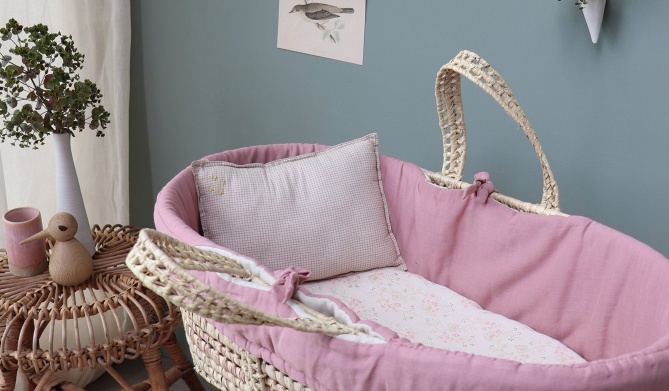 Camomile London offers a fresh, effortless, stylish collection of bedding & accessories in superior quality fabrics & workmanship, creating an individual approach to children’s interiors from birth & up, through to adults. Designed in London and lovingly hand crafted by artisans in India and the UK using 100% cotton and soft muslin’s, each product is functional, unique and of exceptional quality. The attention to detail in every product is what makes it so special. From the delicate hand stitch 4 crosses that create the Camomile London Logo, to the contrast colour hand stitch edging on the quilted blankets. Each piece is designed and made to be lovingly cared for and stand the test of time. 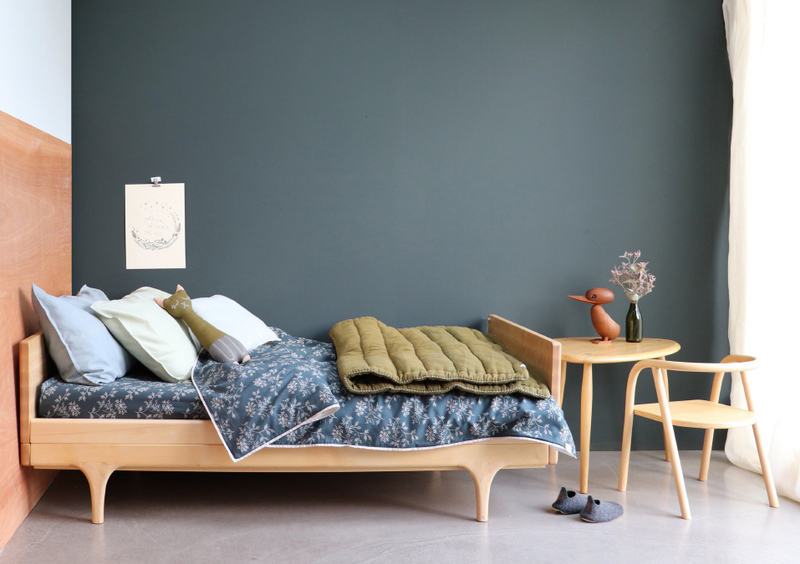 Embracing the style and simplicity of Scandinavian living, the delicate touches of Japanese block prints and charm of vintage pieces, this collection is diverse and practical for effortless style. We will be establishing the brand throughout Australia, New Zealand over the coming months, so, if you are eager to become a stockist please register your interest to prevent disappointment. If you wish to see us at our next trade-only viewings please call +61 4 12 017 690 or sign up to our mailing list for more information. Created for the design conscious parents, looking to create a unique approach to their child’s bedroom interiors. 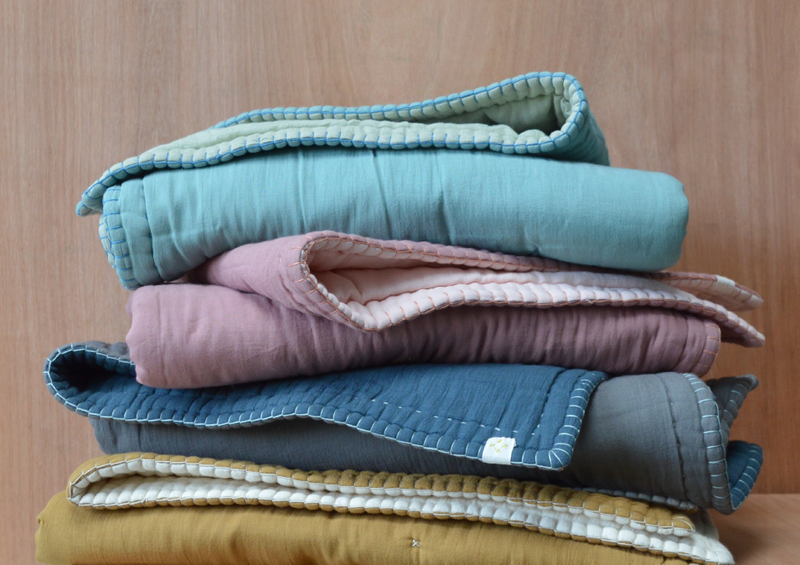 Camomile London's collection is comprised of cot quilts, bumpers, sleeping bags, hand crochet blankets, thick hand quilted blankets, duvet covers and pillow cases in beautifully distinct prints and boldly colourful tones.